Morzine is a perfect base for all alpine summer activities, whether its adventure you’re looking for, or simply just to relax and take in the dramatic scenery of the Alps. It’s your holiday, and our aim is to be as flexible to your needs as possible and that is why we are able to offer a selection of holidays to suit your taste and budget. 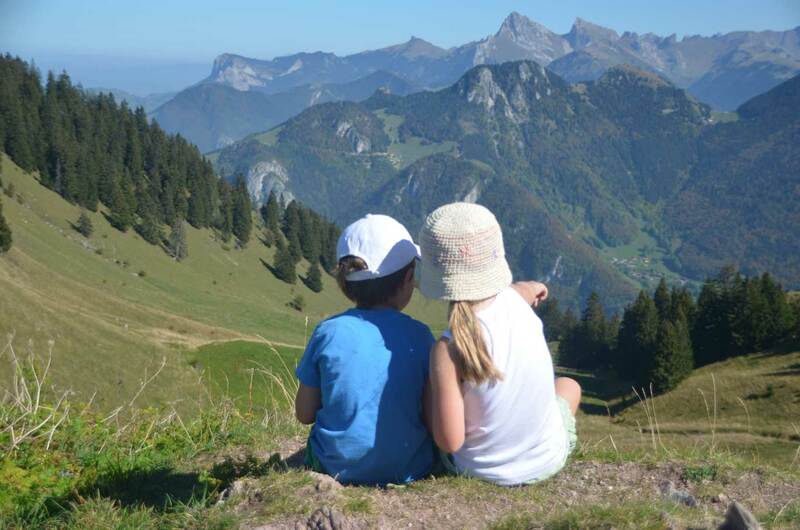 The Great Escape are affiliated with the Multipass Scheme in Morzine and the Portes du Soleil – a great way to save money on your Summer Holiday in Morzine. And those are just some of its benefits! You will also benefit from reduced prices on certain other activities in resort. This is the perfect holiday for those who have got a bit of get up and go, a lust for life, and fancy a challenge trying various adventure activities over the course of a week. 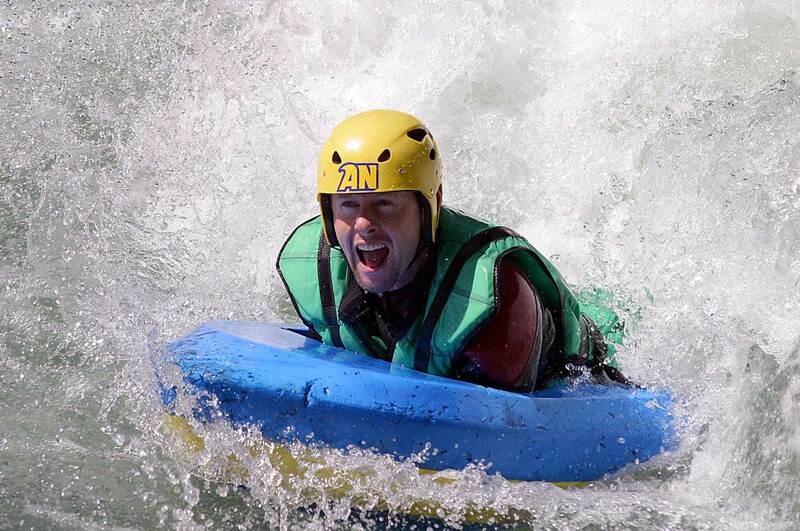 Your holiday with us is completely bespoke, so you can tailor make the activities to suit you. Choose the activities you would like to do, and we will plan your week and get them organized. All activities & excursions are paid for in resort, so you are able to control the expenditure of your holiday. 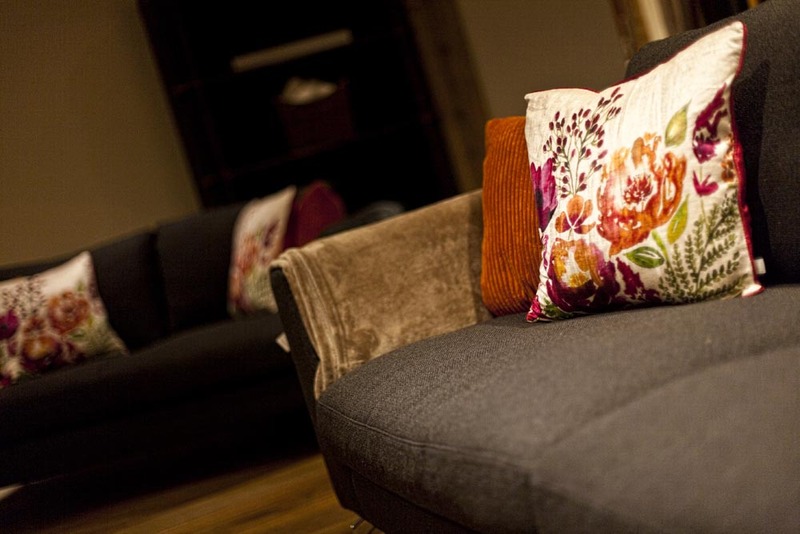 We can organise this holiday when staying on a half board basis in our Farmhouse la Desmeuniere. We use local professional guides for all adventure activities. Sunday: White water adventure morning followed by the fantasticable in the afternoon. Monday: A full day mid-altitude trek taking you over the summit of ‘Tete De Boston’ (2295m) through the Golette pass on Les Dents Blanche range (2555m) and then an overnight stay in a mountain refuge hut. Tuesday: On leaving the refuge hut, you make a fantastic descent to ‘Le Bout du Monde’ (the end of the world) in the Sixt nature reserve. 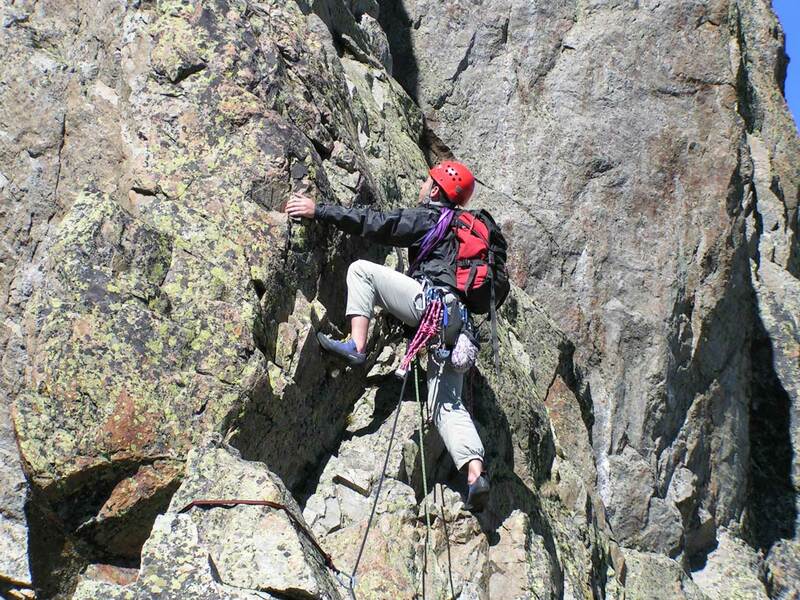 After lunch, if you are still feeling fit, you can climb the Via Ferrata at Saix du Tour. 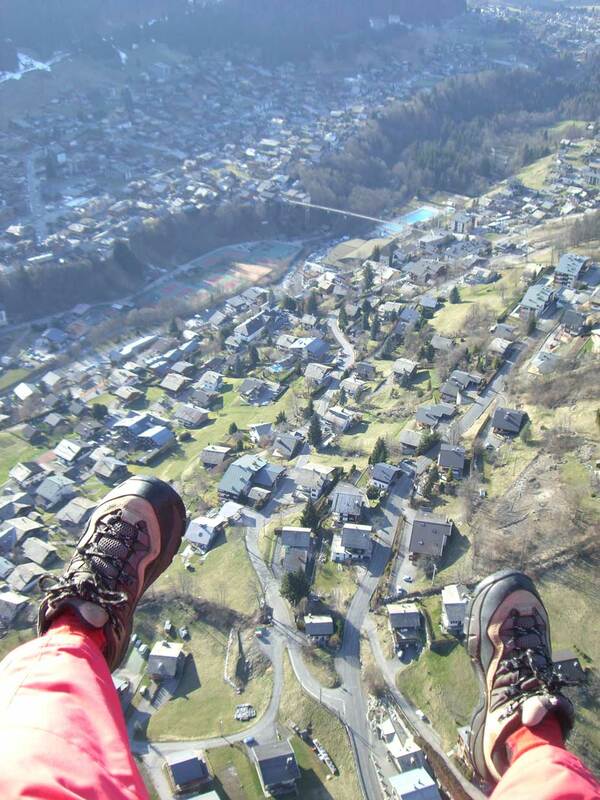 Wednesday: Chill out day in Morzine, and perhaps take a tandem paraglide flight. 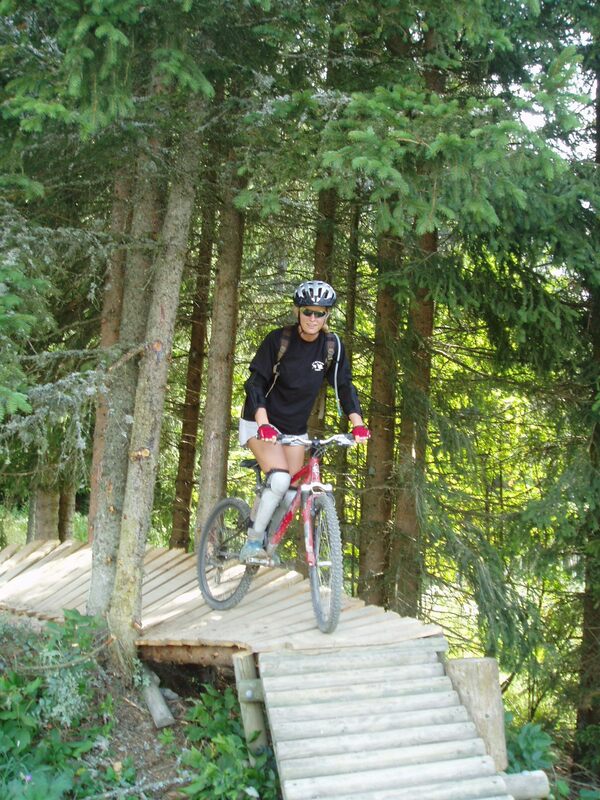 Thursday: A full day cross-country mountain bike day, using the chair-lift system to follow the Portes du Soleil circuit. Friday: The morning canyoning, with your first objective being a 150ft absail down a waterfall! The afternoon spent swimming and a well-deserved rest at Lake Annecy. You will ride with the benefit of full vehicle back up allowing you to enjoy the high mountains. We aim to create a unique and rewarding experience for both the first time alpine rider and the seasoned climber. We will guide you over some of the worlds most famous climbs as well as show you some other hidden away routes that will allow you to fully take in the spectacular riding that this area can offer. There will be a full briefing before each ride. These events are run by your guide who is Nick Miles from Urbanfit.co.uk who has previously lived in Morzine and ridden the surrounding roads for many years. We will aim to ride as one group although this will inevitably be difficult on the longer climbs. Our suppost vehicle will be strategically positioned on the mountain roads to cater for all levels or rider. Most of our rides have a short cut back to base for those who want a lighter day. The Tour de France is a regular event here, and with good reason. The area is home to the world famous ‘Col de Joux plan’ & ‘Col de Ramaz’ circuits. Gruelling and punishing, yet equally rewarding. These arduous mountain passes are both amazing mountain climbs to achieve within the course of your stay. We have an extensive knowledge of routes in the area that very in distance and pain! Riding in the Alps can be very different to riding anywhere else in the world. The climbs can be very sustained. 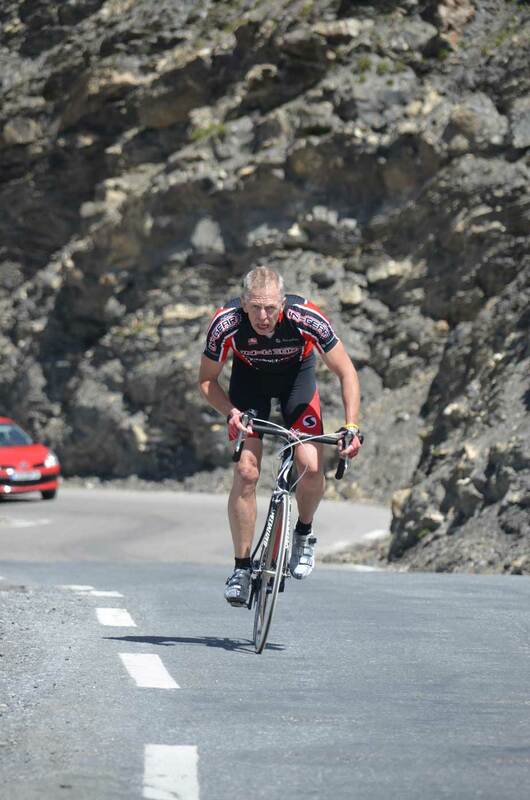 You need to have a good level of fitness and be confident with descending at speed on your bike. For all-day routes we are also able to provide vehicle support. You ride your bike, we’ll look after the rest! The Great Escape Morzine have teamed up with RPM90 and Velovation to bring a superb opportunity to all those Road Bike fanatics out there. Have you ever wanted to experience the thrill of the Tour de France and ride the same routes as them? Based in a truly breathtaking setting and surrounded by infamous mountains, our Alpine Road Bike Camps are the perfect choice of summer holiday for those looking to develop their fitness and cycling skills and ride some spectacular roads throughout the Northern French Alps. is in the centre of the Portes du Soleil region, and has fast become the No.1 European location for mountain biking, being on the World Cup circuit for both downhill and trial races. 24 interlinked ski-lifts, adapted to carry mountain bikes, operate in the area to help you gain access to over 650 kilometres of marked bike trails. 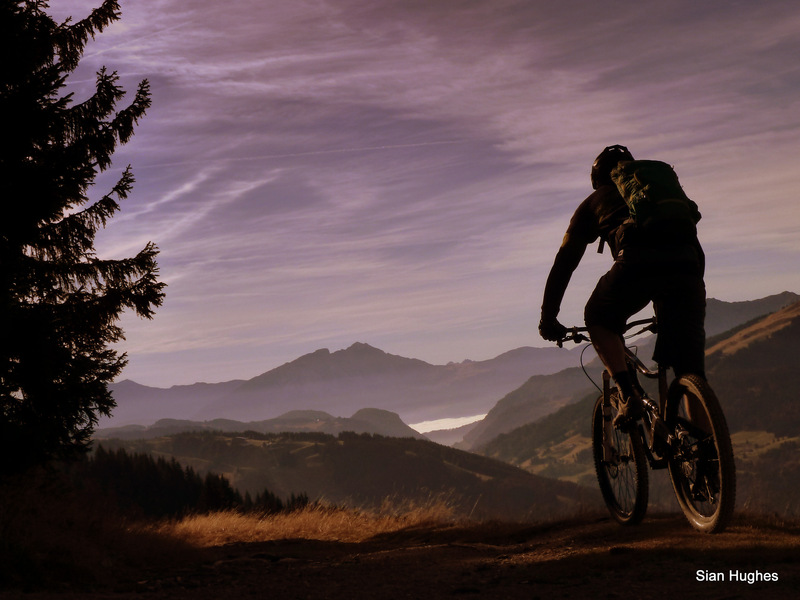 This makes the Portes du Soleil, the largest lift-linked mountain bike circuit in the world! The Portes du Soleil which links France and Switzerland, offers marked routes and itineraries for all levels of ability. Whether its biking trails for family rides, or more extreme x-country and freeride routes you’re after, there is something for everybody! For those bikers new to riding in Morzine especially, the area is so vast, it’s a good idea to go out with a local guide, which we can arrange. With 9 permanent downhill courses in the Porte de Soleil there is a great deal of choice. From the Avalanche Cup course on the Pleney to the super technical France Cup course at Linderets. Tracks built specifically for the Swiss National Championships are an excellent addition to the already impressive selection of Downhill courses found in the area. If required we can also arrange bike hire. We are able to offer you return transfers to/ and from Geneva Airport with your bikes. For treks above the snow-line you need to be fit and competent in snow and ice fieldcraft, including the use of ice axe and crampons. The techniques of ice axe arrest and crevasse rescue are essential. If you’ve never climbed above the snow-line before, it’s never too late to learn! Aiguille d’Argentiere (3900m) 2days. An elegant route with no great difficulty the Aiguille d’Argentiere is an outstanding and majestic peak on the frontier ridge between France and Switzerland. Day 1 is an easy walk on crampons over the Argentiere glacier to the refuge hut. The following day is a classic alpine start, (4.00a.m!) to see us on the summit for 9.00a.m so we can descend before the snow gets too soft. Mont. Blanc (4808m) 2 days. Starting in Italy, in the Val Veni (1653m), the first day takes a path along the moraines of the northern bank of the Miage Glacier, working steeply up couloirs and snow slopes to reach the rock spur that leads to the Gonella refuge hut (3071m). An early morning alpine start follows, and sees us ascending the crevasse strewn Dome Glacier before breaking out onto the ridge that leads to the Dome du Gouter (4304m). Here you will be glad of your altitude aclimatisation training prior to the ascent, as you are struggling for breath and require a rest after every 10 paces or so! But you will never forget standing on the summit of Mont. Blanc, the roof of Europe. Turning 360 degrees and seeing all of the French, Swiss and Italian Alps below you. We are located in a very underrated, and unspoilt walker’s paradise. 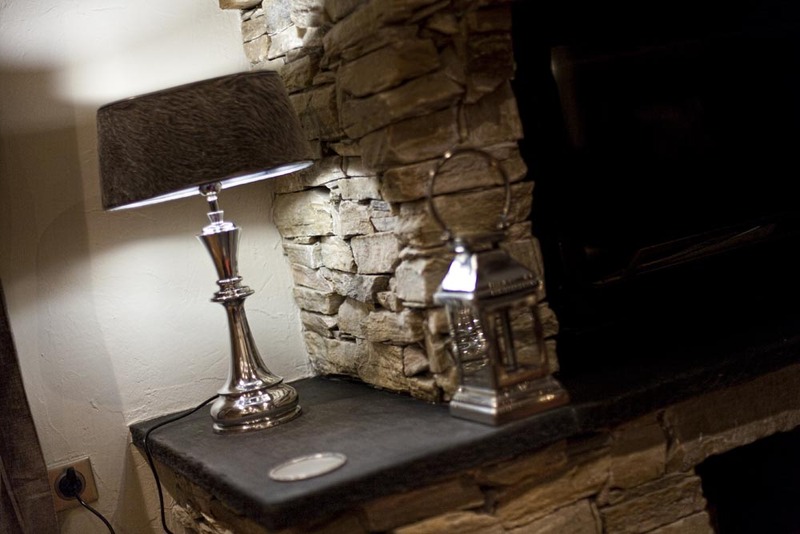 Nestled in the shadow of ‘The Dent Blanches’ (The White Teeth) mountain range and with four other mountain nature reserves in the vicinity, you are spoilt for choice. It’s an excellent area for mid-altitude treks, i.e. mountain summits below the snow-line roughly 2800metres in the summer. We have treks to suit all ages & levels of ability. Ranging from half day low-level walks down alpine meadows and forest paths, to mid and high altitude mountain treks from a full day to 8day expeditions, staying in refuge huts. The Portes du Soleil area alone has over 600kms of marked footpaths, trails and summits, not to mention 2 European GR hiking routes. Below are some examples of the many treks available in and nearby to Morzine that we can either advise on or assist with booking a guide. Le Fer a Cheval half day. Taking you into the heart of the Sixt nature reserve, this amazing walk takes you on a horseshoe shaped tour of snow tipped mountains with waterfalls cascading all around you. Le Lac Mine d’Or & Col de Coux 1day. A walk of varied terrain that starts with following a river along forest paths that opens up into beautiful alpine meadows with an abundance of flora & fauna and mountain lakes. Treks below the snow-line, a good standard of fitness is required. Le Roc d’Enfer (hell’s rock 2243m) 1day. It’s not called hell’s rock for nothing, and is one of the classics of the region. There is a fair amount of scrambling, often with chains to give you support, but the drops behind you are quite considerable so a head for heights is essential! A dramatic ridge trek with breathtaking views in all directions. 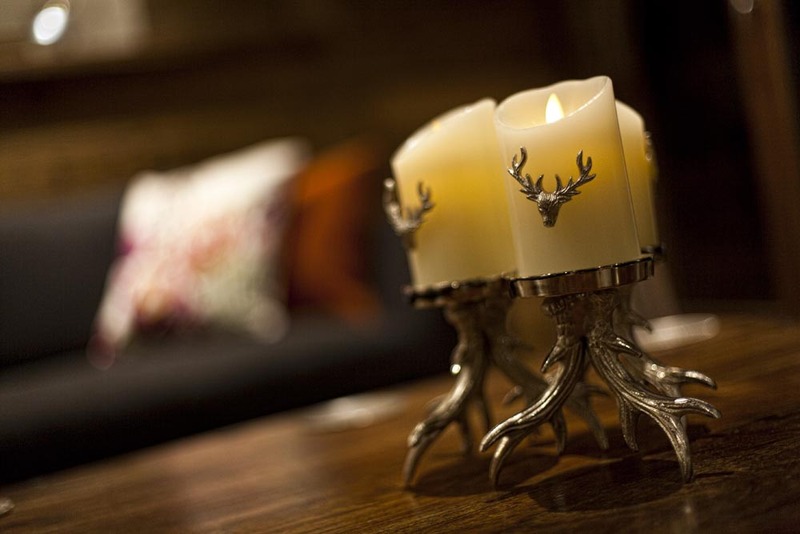 Morzine – Chamonix 3days, 2 nights staying overnight in refuge huts. A beautiful walk that follows the GR5 trekking route over a series of hanging valleys, mountain passes and beautiful waterfalls to eventually reach Le Brevent (2500m) with its amazing panoramic views of the Mt. Blanc range. The Tour des Dent Blanches 5days, 4 nights staying overnight in refuge huts. This trekking tour circumnavigates you around the massif of Les Dents Blanches (2756m) passing in turn through the French and Swiss Alps. With views almost rivaling those of the Himalayas, the trek enables you to see some of the most stunning glaciers and summits in the Alps. On our doorstep we have the spectacular River Dranse with its wild flowing Grade III/IV rapids & is host to a series of great water adventures. 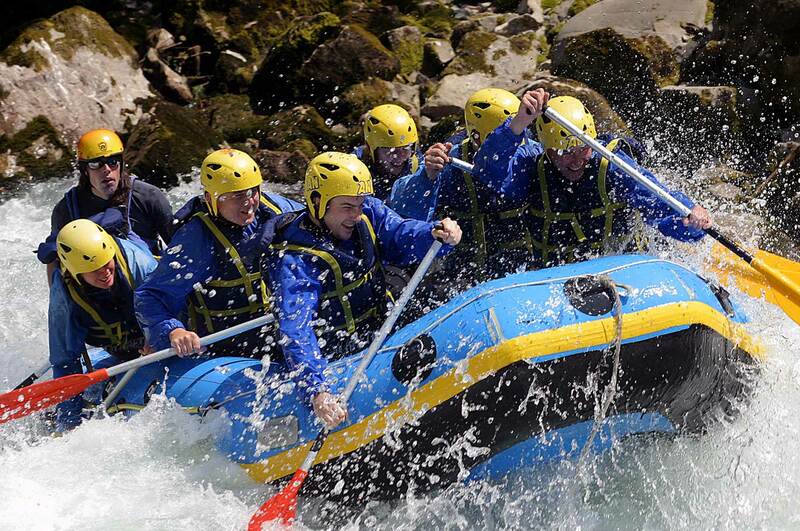 Action packed descent with a qualified instructor shouting instructions military style, whilst you battle the rapids in an eight man raft will get your heart beating. A real thrill. Dressed in a wet suit and flippers & armed with a float, experience the thrill as you race in and amongst the rocks and rapids. 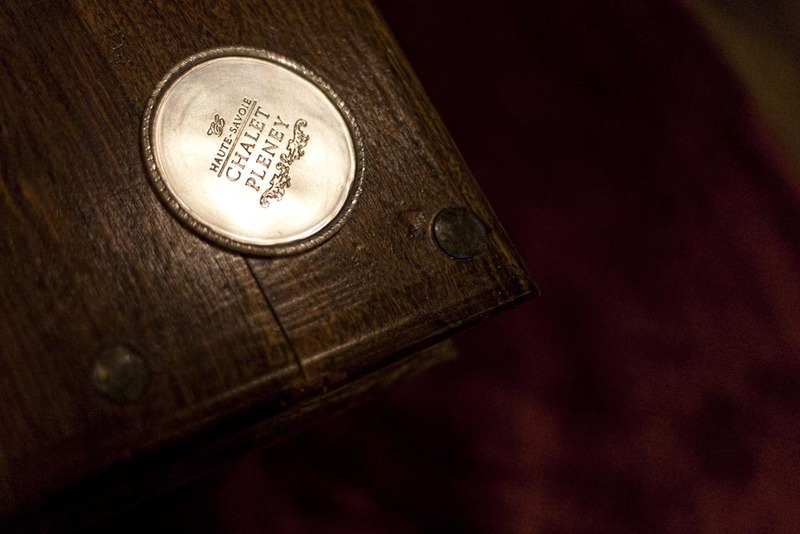 You may come home a bit bruised and battered but with an experience to remember. Important to keep your wits about you, but go with the flow of the river and you should just sail through! For those who feel that variety is the spice of life! Canyoning is basically following a steep water gorge down a mountainside dressed in a wet suit, life jacket & safety helmet. Your day will involve jumping into rock pools from great heights, sliding down natural stone water-chutes & abseiling waterfalls. A fantastic day out. Lake Geneva, the largest lake in the Alps is only a stone’s throw away, offering you the opportunity for water ski-ing, wake boarding, wind surfing and sailing. As keen mountaineers we are able to advise on selected climbs and routes, and for those who would like guides we’re able to organise this through the Chamonix Mountain guide agency. Prices depend upon difficulty and duration of route. 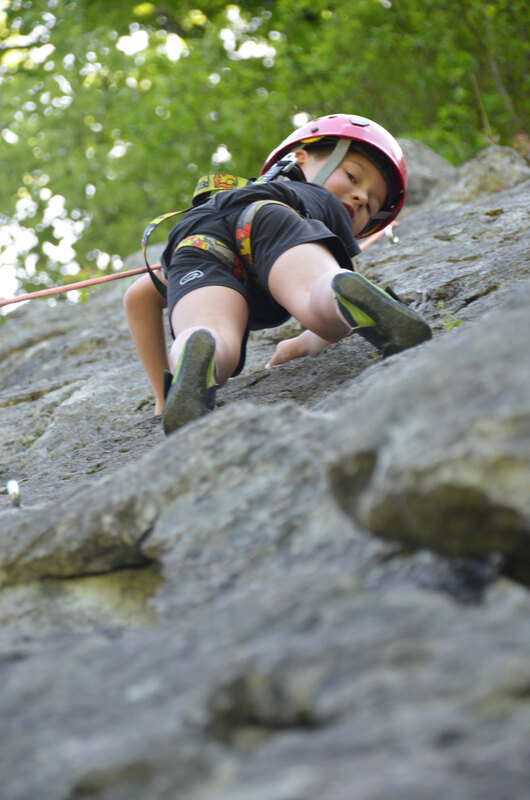 If you have little experience, or have never climbed before, we are able to arrange lessons through the local climbing school. For those that would like to try climbing a rock face with a difference! 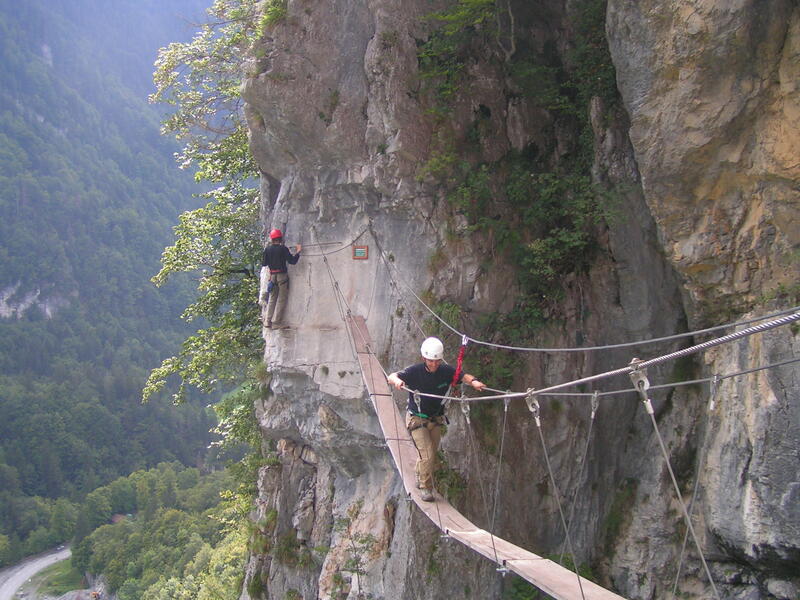 The Via Ferrata at Saix du Tour, is 500metres of vertiginous ascent up a rock face using cables, steps, ladders & bridges to climb the rock wall to its summit, and discover an incredible panorama over the valley. Situated on the edge of a pine forest, this 9-hole course, commands an exceptional view of the Morzine valley and its surrounding mountains. A challenging day, this is the only course I know where you have to help push the buggy uphill! Amazing views of the Mont Blanc range. This is one of the most beautiful courses in the world overlooking Lake Geneva and the Jura Mountains. If you prefer not to drive, our minibuses with drivers are available for hire. A day’s visit to the town of Chamonix at the foot of Western Europe’s highest mountain, Mont Blanc. You have the option of taking either the mountain funicular rack and pinion railway to the Mer de Glace to explore the glacier, or the world’s highest cable car to the top of the Aiguille du Midi, at an altitude of 3900m. You can also take an easy trek to the mountain refuge at ‘Le Lac Blanc’ for lunch, with its stunning panoramic views of the entire Mt. Blanc range. Located beneath the snow-capped peaks of the Aravis mountain range, lies the beautiful Lake Annecy. The old cobbled town of Annecy, likened to a mini Venice, with its beautiful canals and small winding streets, is absolutely stunning. You can drive over the spectacular mountain pass of Ranfolly with its amazing views of Mont Blanc, to visit the beautiful village of Samoëns. 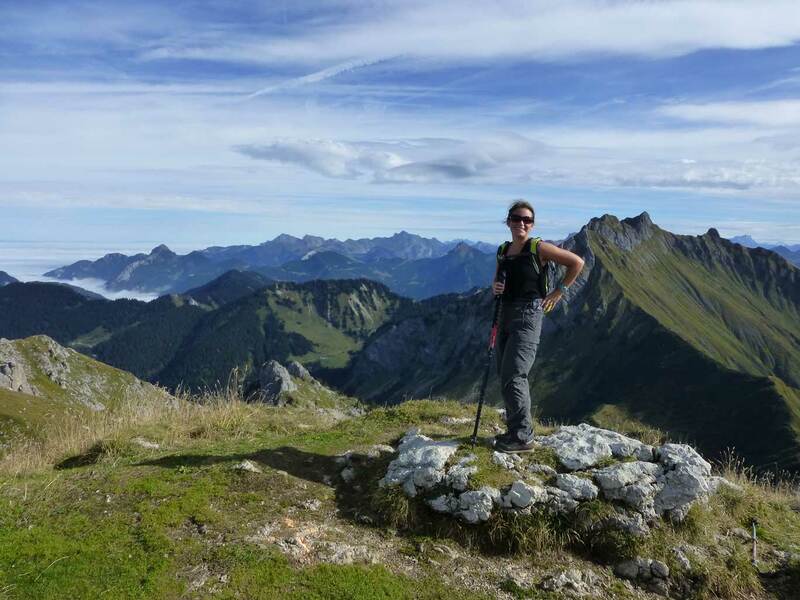 From Samoëns you can move on to the Sixt-Fer-a-Cheval National Park for an afternoon’s easy-guided walk beneath some of the most spectacular scenery in the Alps. There is time to relax, and for the daring, to have a swim in one of the ice – cool plunge pools. Beautiful 13th Centuy village on the shore of Lake Geneva. A Tyrolean Traverse with a slight difference! Suspended below a steel wire rope 1200metres long, you will hurtle at over 80kph from one mountain peak to another. This is the ultimate death-slide experience! 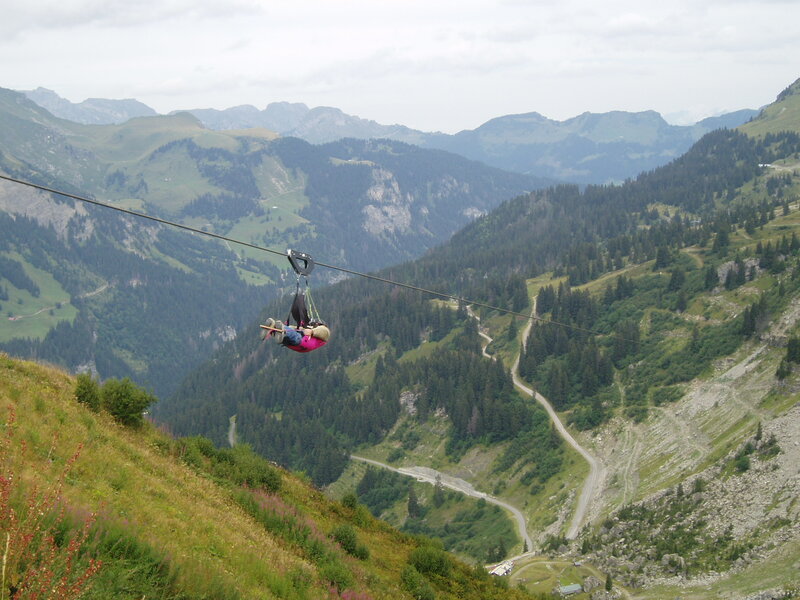 Along with all the other adventures available, Morzine also offers Summer luge, ice-skating, devil karting, mountain-boarding, skate park, horse-riding, pony-trekking, swimming pool & water park, tennis, paintballing, and quad -biking.